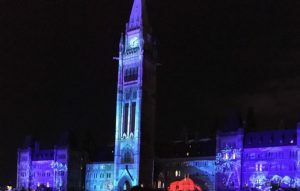 Don’t miss the 34th edition of the Christmas Lights Across Canada that kicks off on December 5th, 2018 at 7pm with an official illumination ceremony on Parliament Hill. Christmas Light Across Canada was created in 1985 to highlight landmarks along Confederation Boulevard such as the Parliament Hill, national museums, embassies and monuments. 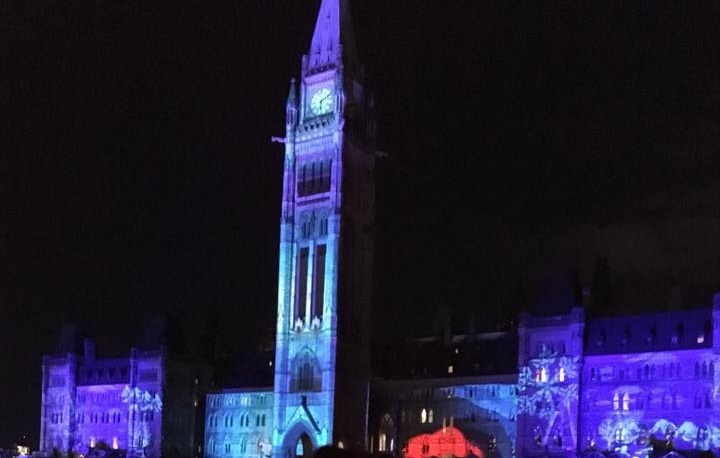 It also kicks off the holiday season in Ottawa! The 2018 edition will kick off on December 5th at 7pm with live musical performances, an amazing pyrotechnic show and free Beaver Tails pastries and hot chocolate (while supplies last). 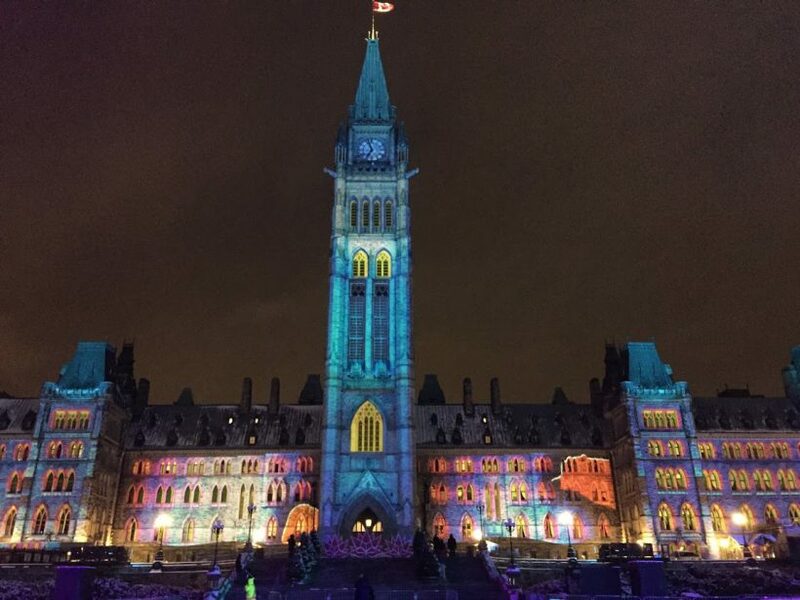 The magical winter lightscapes show will be presented on the Parliament every night from 5:30 pm to 11pm until January 7th 2019. The show follows the journey of Grizzli, Fox and Snowman through imaginary landscapes on the question of light.